Now that it’s roll out is happening nationally through all Sprint retail stores, the brightly lit LG Marquee with its piercing 4” NOVA LCD display is getting one enticing price makeover that makes it very difficult to not look at. Out of all the retail partners out there for the handset, it appears as though RadioShack has one sweet pricing on the recently available smartphone. 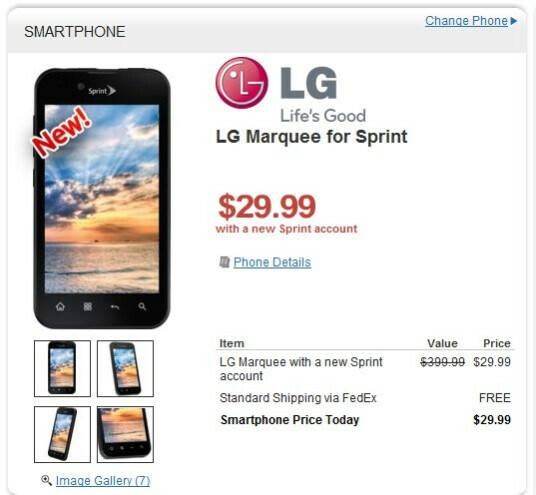 Specifically, new customers can purchase the LG Marquee for the 2-year contract price of $29.99, which is a cool $70 less than what Sprint is asking for the handset from its customers directly. Additionally, upgrade customers with qualified upgrades can still nab some savings since it’s priced at $79.99 for them. Savings are indeed great, especially in our current economy, so that’s why you should really consider picking up the handset through RadioShack to save yourself some moolah in the meantime. Oh yeah, RadioShack is also selling it for $369.99 outright as well. Don’t say that we didn’t warn you. 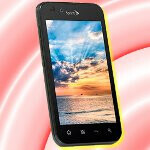 If its $369.99 without contract, we can assume it'll be a similiar price on virgin mobile. Probably $300 just like triumph.